A home’s exterior if not managed properly can have costly effects throughout the winter months. Ice dams, fallen tree limbs, chimney fires, frozen pipes are just a few costly and potentially dangerous events that can occur during the cold season. Urbanyardology recognizes that all our clients homes are generally the largest investment they’ll ever make. So naturally, we as a company want to make sure you protect that investment. We came up with a list of costly problems that could potentially add to those winter Blues. Remember as a homeowner the works never done. 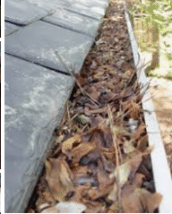 Gutters– Remove any debris that could prevent water from flowing. This is one step to ensure ice dams don’t occur. Fireplace -be sure to to have it cleaned annually. Built up creosote can lead to fire in your chimney which could easily spread. Many critters can see an opportunity to nest in your chimney which may also have catastrophic results. Frozen pipes- make sure to have lawn irrigation blown out before the water in the lines freeze. If you have an unfinished basement without a heat source make sure all pipes are rapped. Be sure to shut off outdoor water spicket from inside basement, then turn on from the outside to rid any excess. Trees- look up!! Do you see any potential trouble spots like dead limbs over any structure on your property. Stinky snow load and winter winds can bring these down without warning. Protect yourself and your home by having them removed by someone with the right equipment. Homeowners…keep ahead of potential problems and continue to GROW your home. As the dog days of winter approach it’s easy for gardeners in zone 4 and 5 to become green thumb deprived. We look out our Windows to a Barren landscape, all perennial gardens have been put to bed and the annuals have been pulled and composted. Now we wait and stare at a stagnant exterior environment until the last frost in the spring. Sometimes as gardeners it’s hard in the fall to practice leaving some perennials alone. We just want to get everything done and have things look as tidy as possible. This practice does not have to happen with all perennials. By leaving some plants in your garden you leave behind some visual interests and the birds that do not migrate will entertain you on those boring days as they feed on seeds. This Sedum (Autumn Joy) for example has great color, would look great in any white landscape and the birds just love to nibble on their seeds. Again… this is not for everybody, some like to have a tight compact garden and don’t mind a simple white landscape. 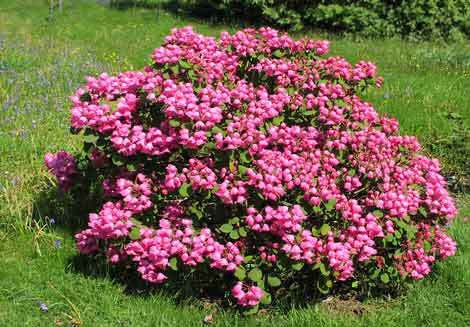 Now keep in mind, not all perennials look good without a good pruning, in fact some should be pruned hard to prevent foliage disease or to not give shelter to harmful insect and pathogens. In that case all debris should be disposed of and NOT composted. The important thing is to just know your plants and their characteristics. Below are some helpful links that I’m sure will help guide you.